Curcus musical show "Conquista De La Noche". Curcus musical show “Conquista De La Noche”. 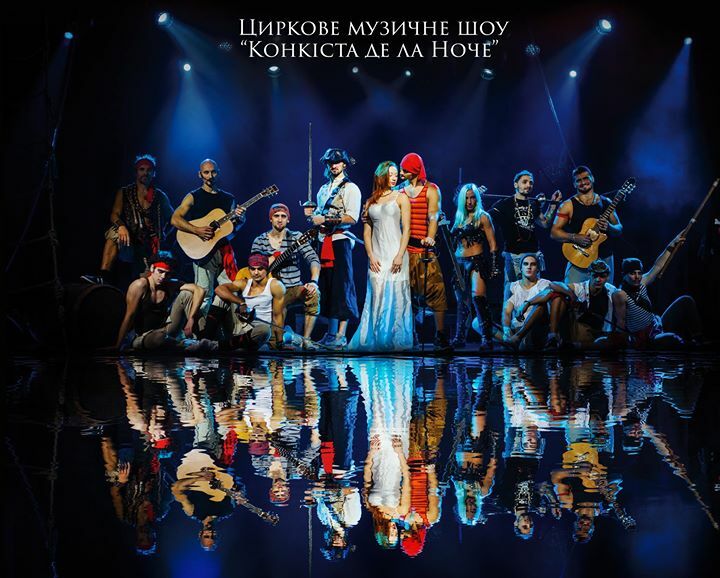 For the first time in Ukraine, there will show Conquista De La Noche. Love on the three-meter height, furious passion that goes beyond what is permitted. Air gymnasts, tracer and parkurschyky – all Conquista De La Noche. Music theatrical performance and light. Unexpected extreme show, which is an absolute sense of place and adrenaline. They only draw the boundaries in order to overcome them.